So you’ve been admiring some awesome acoustic guitars and are finally ready to purchase your own personal instrument. You’ve read the reviews, been to your local music store and spent countless hours poring over product information only to realize that there are hundreds of brands to choose from and you have no idea which is right for you. Well you’re in luck because in this article I’m going to spell out for you which brands are the best on the market today. You’ll still have your work cut out for you, since the brands on this list are the best of the best. But this article should help take the guesswork out of your next big musical purchase. When the lyrics of hit songs feature your brand by name, as a company, you know you must be on the right track. At nearly 150 years in business, innovation has kept this guitar maker constantly on the list of top acoustic guitar brands. Vintage models are coveted and new designs live up to the classic name and reputation. And with a lifetime guarantee, you know these beauties are built to last. Epiphone prides themselves on being an innovation leader, and they are never afraid to take risks in pursuit of excellence. Looking to splurge? Check out Epiphone’s limited edition exclusives at major online and in-store music retailers. Also, Epiphone is now owned by Gibson, and they are able to use Gibson’s designs and specs to make lower-priced versions of high end Gibson guitars. Don’t want to spend thousands on that Gibson J200? Well, you can pick up Epiphone’s EJ200 for a fraction of the price. Martin makes classic guitars that have been featured in countless hit tunes. While they are best known for their top-of-the-line $2,000+ models, Martin also makes great guitars for any budget. Martin guitars always honor their tradition while continuing to strive for a better instrument. Give Martin’s new 17 Series a try if you want to see that theory in action. Martin is renowned for their dreadnoughts, and owning a Martin guitar will give you instant bragging rights. 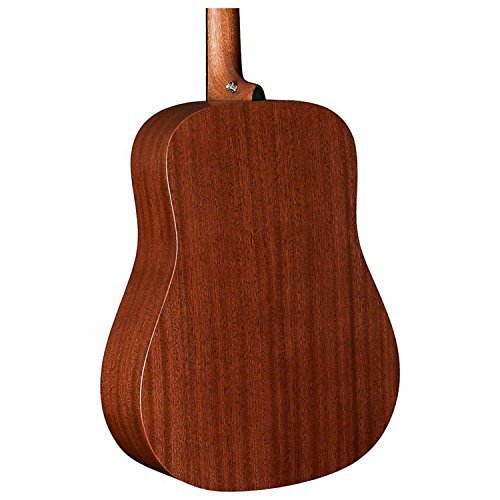 If you play folk or bluegrass music, many consider Martin guitars to be the best choice to get the classic sound that you need for these styles. One of the characteristic qualities of any Martin guitar is the voice, that unmistakable Martin sound that few other manufacturers can achieve. The warmth in tone and sensitive dynamics are also second to none. And with 180 years in the guitar making business, you can count on Martin knowing how to make a great guitar! Bob Taylor, and the company that bears his name, have for decades crafted acoustic guitars known for their ease of playing and cutting-edge craftsmanship. Like Martin, Taylor is best known for their high end guitars in the $2,000+ range, but they also have a great lineup of lower priced guitars. The action on all Taylor guitars is superb, and it should be since they pride themselves on their necks and fret board construction. Taylors typically have ebony fretboards and super slim necks, which make for fast and easy playing. There’s nothing out there more comfortable than a Taylor neck. Taylor is known for quality, but it’s the extras that really set them apart. Their customer service is top rated and Taylor is also committed to using only sustainably sourced tonewood across all areas of their guitars. Gibson started out making classic mandolins over 100 years ago before expanding to acoustic guitars and their iconic electrics including the Les Paul, SG and Flying V. Given this rich history, you know that you can expect the best in quality construction with a Gibson acoustic guitar. Gibson currently operates a state-of-the-art facility out of “Gibson, USA” located in Nashville and specifically built for manufacturing guitars. This specialized facility means that Gibson can not only quickly repair your acoustic guitar, but they also offer restoration services for your classic models. Gibson makes many classic acoustic guitar models. Their lower end instruments can be hit or miss, but their high end guitars can compete with and even outclass the best from Martin or Taylor. 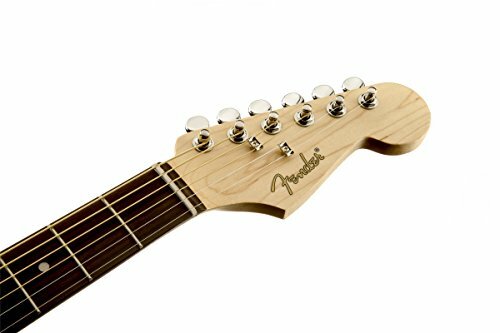 Fender is widely known for their iconic Stratocaster and Telecaster guitars, but they also happen to be a go-to brand for acoustic guitars. Owning a Fender is more than just purchasing your new favorite instrument, it’s joining a community of Fender owners and lovers. Pick a well-known musician and chances are they own a Fender guitar. And since they’re one of the biggest names in music, you can count on Fender to supply a wide range of accessories for your newest musical family member. 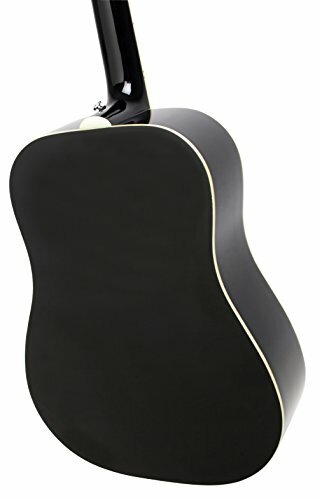 Fender even makes an acoustic version of their Stratocaster with their Stratacoustic model. 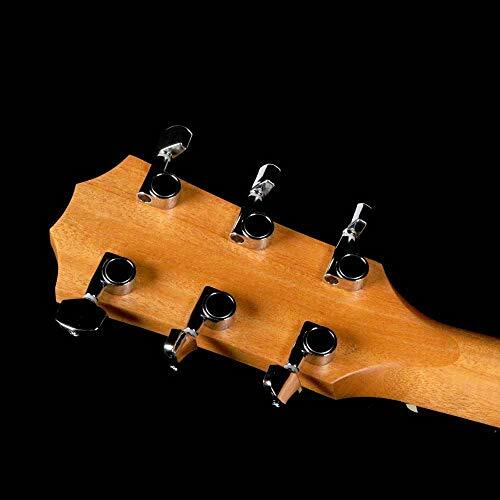 Hopefully I’ve given you a great starting place for your next acoustic guitar purchase. The great thing about our “best of” list is that you can’t go wrong with any of the brands we’ve highlighted. Each of these good acoustic guitar brands will provide you with a quality instrument that will last for years and produce gorgeous music. Can’t decide between these brands? Well then why choose? Experiment with each of the above reliable manufacturers for their unique tone and playability qualities. After all, acoustic guitars are like potato chips; you can’t have just one!